With the increasing number of people using mobile web, optimizing your website for mobile usage has become really very crucial for your business. If you really don’t want your potential customer to go to your competitors you must optimize your website for multiple screens. Even according to Google, 79% of users go to some other mobile site if they don’t like what they find on a mobile site. So, if you don’t want to lose this 79%, you must optimize your website for multiple screens or in simple words get a responsive website. Let’s go ahead and have a look to a few websites that are doing a great job with multiple screen optimizations. It is a marketing services company that helps businesses grow their web presence by providing web design and web integration expertise on an individual or ongoing basis. Why its mobile site is awesome? It not only recognizes the device that different visitors are using but also recognizes what they want from the site. For instance, it has an option called ‘See Recent Work’ meant for a first time visitor or those who don’t know much about the company while there s another option called ‘Request a Quote’ meant for those who have visited the site multiple time and also know about the company but just want find out some information about their offers. It is an internet marketing agency that brings together the worlds of web marketing, web development, and web design. 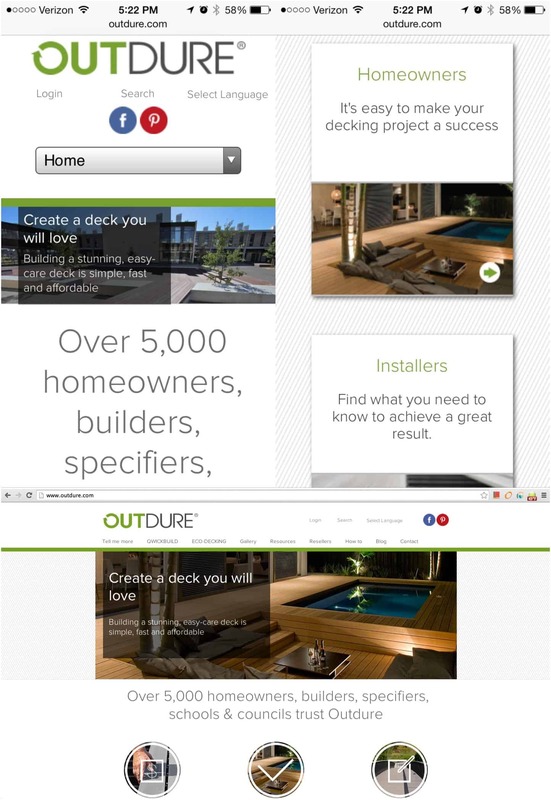 It adapted its visual content to be apt for their mobile site. For example, they would keep a video as the background of their mobile site in such as way that it would appreciably slow down the load time. And, let me tell you a recent study revealed that 40% of people will abandon a web page if it takes more than three seconds to load. 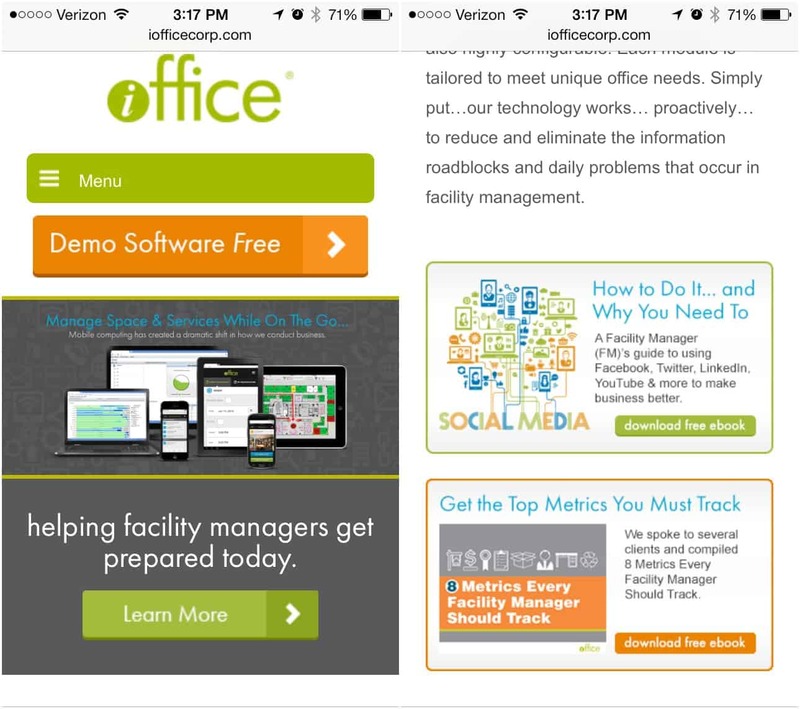 So, this is how Orbital Alliance found a balance between strong messaging and a good mobile experience. 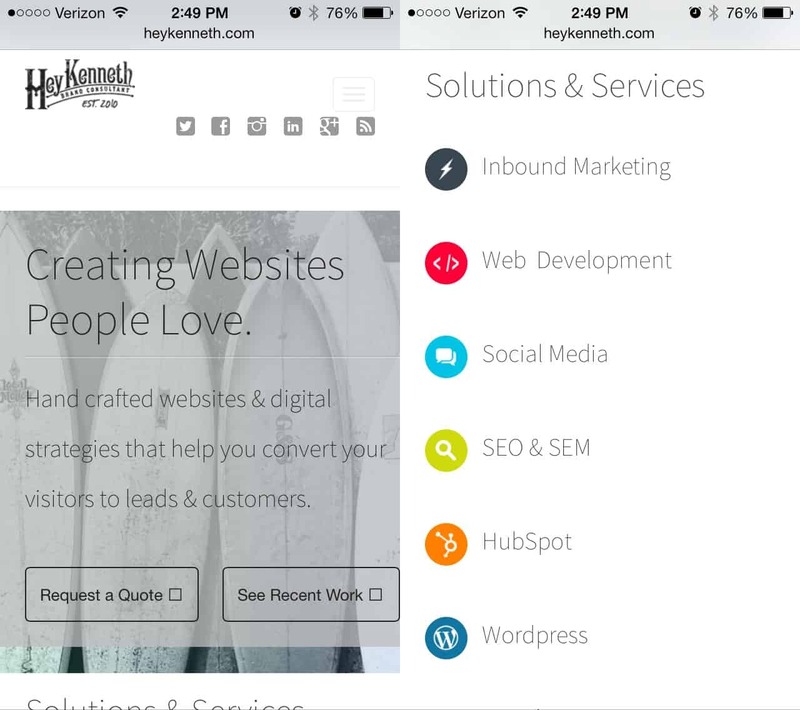 It specializes in responsive web design, inbound marketing, and agile web development. 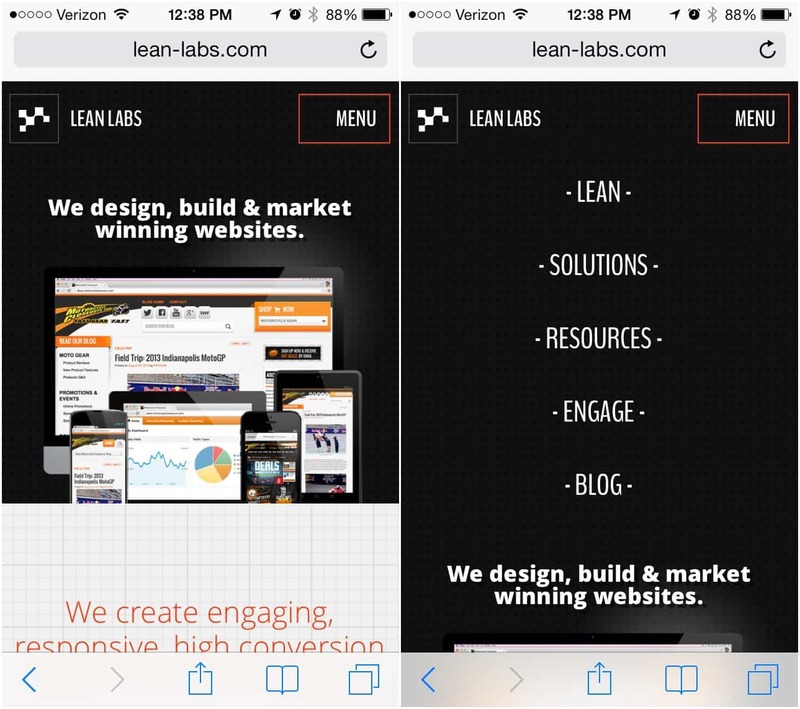 A fantastic navigation is something that makes their mobile site stand out. As you can see, the homepage option on their mobile site appears like the image on the left with a condensed navigation. However, if you want the full navigation, you can click on the ‘Menu’ button and can click it again to close. So, this is how they allow mobile visitors to easy get the information they want reducing the bounce rate. iOffice is a modular integrated workplace management system that works to reduce the daily problems and information roadblocks in facility management. • Breathtaking visuals that not only help you with site navigation but gives adequate information about the company as well. It designs, develops, and manufactures decking products for residential decking applications and commercial decking environments. 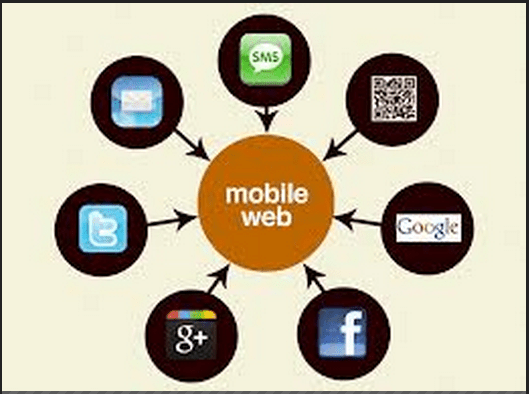 The company has an ultimate responsive website that adapts easily to the screen size of the device you are using. The menu changes, images get changed to fit to the screen of your device, which allows for easier viewing when going from device to device.